Jake’s owner, after doing a Google Internet search and armed with powerful drugs provided to her by a friend with an extensive equine pharmacy in her tack room, treated the “colic” with Banamine® (flunixin meglumine) and administered a shot of furosemide (a prescription diuretic) to stimulate urination. A few hours later, Jake appeared to feel better but still was not quite right, so she administered another dose of Banamine®. Jake urinated and his appetite returned, but 24 hours later his condition had worsened. Soon he was showing more serious signs of abdominal pain, and he was admitted to an equine hospital for care. “Stretching as if to urinate” is commonly seen in horses in abdominal pain, and is often not caused by a problem with the urinary system at all. In this case, the horse owner administered large doses of anti-inflammatories and dehydrating diuretics without understanding that there was an underlying cause (a large colon impaction). 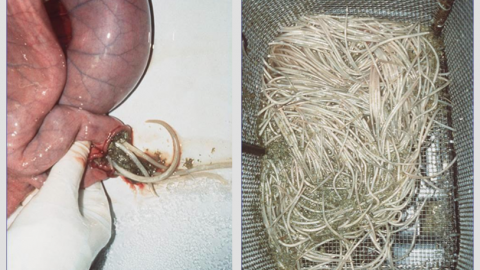 This approach allowed the impaction to worsen over time, and through dehydration and overuse of flunixin meglumine, set up another life-threatening condition, kidney failure. 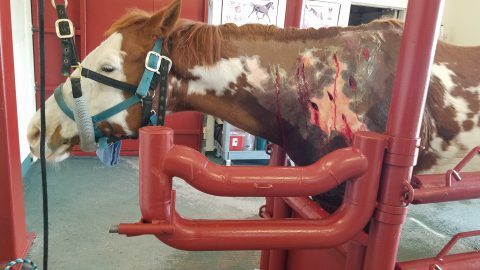 In this case, there was no communication with a veterinarian and no diagnosis was made until it was almost too late to save the horse. Variations on this scenario are common throughout the horse world today. Horse owners are trying to manage problems themselves, and they delay calling a vet in order to avoid emergency visit costs. They often use the Internet to inform their decision making, and horses sometimes suffer as a result. A medical diagnosis is defined in Wikipedia as “an attempt at classification of a patient’s condition into separate and distinct categories that allow medical decisions about treatment and prognosis to be made.” In a 2005 article on the process of veterinary diagnosis, Dr. Carl Osborne states: “Just as no two individuals are exactly alike in health, so neither are any two alike in disease.” In one horse, infection with the Strangles organism may cause a high fever and severe depression but only mild cough and swelling under the jaw. Another horse may only have a mild fever, but have very swollen lymph nodes and a severe cough. Veterinarians observe these different manifestations frequently, and must still be able to diagnose in the face of this uncertainty. This is the “art” of practice. Veterinarians use the method of “differential diagnosis”, which is based on identifying a list of candidate diseases or conditions that might possibly be causing a clinical sign. They then eliminate possibilities through the use of diagnostic tests, or by judging response to symptomatic treatment. Upon reaching a diagnosis, veterinarians consider the potential treatments for that diagnosis, and select the most appropriate. There is generally a body of knowledge associated with a diagnosis that supports using particular treatments. Today, we all have access to the same vast body of information on a subject via the Internet. The problem is how to use that content most effectively. 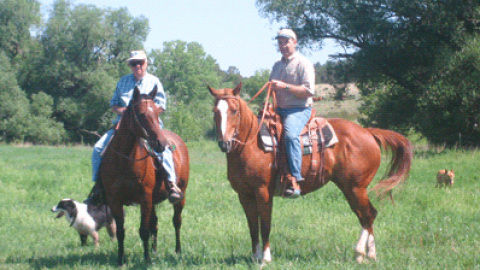 Horse owners often begin the search by inputting their own observations as search terms. Google might return a million search results, but these are not organized based on relevance to a situation (and all of them aren’t necessarily from reliable sources either). 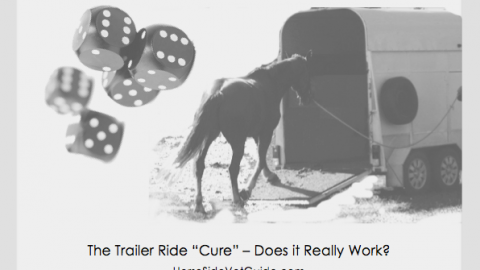 In contrast, there is a lot known and a lot written about equine diagnoses. 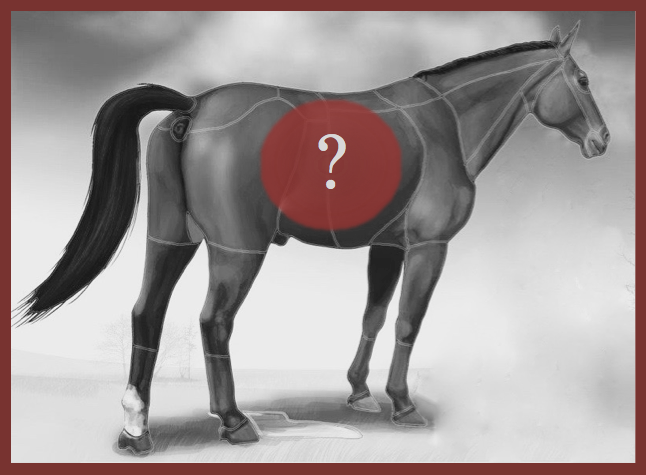 Once your vet provides an accurate diagnosis (a name for the problem), and some guidance, then the Internet can be used to deepen your understanding of your horse’s condition. • Communicate with your vet soon after you observe a problem. They can guide you as to whether you can treat symptomatically or need to pursue a diagnosis. Together, you can discuss your options and their associated costs. • Be observant, and communicate your observations to your vet effectively. Photos and videos can help your vet quickly determine the best course of action and whether the horse needs to be seen. 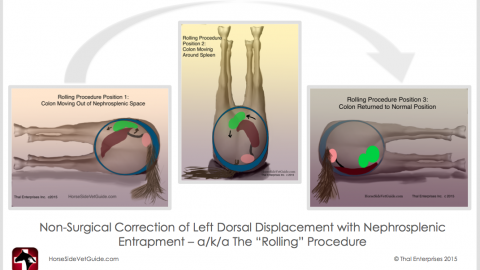 • Learn to perform basic treatments so you can provide required follow-up care. 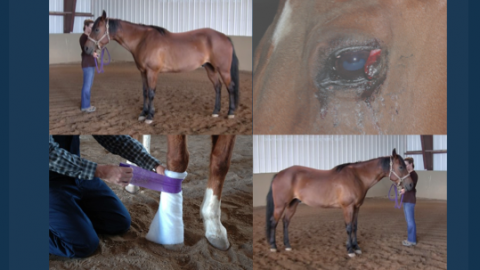 • Once you and your vet have chosen a treatment plan, talk to them about how to assess its effectiveness and how to monitor and communicate your horse’s progress. • Ask your vet to recommend further Internet resources that might help you expand your understanding. The Internet, when it is used appropriately, is a wonderful tool for enlightenment on equine veterinary medicine. 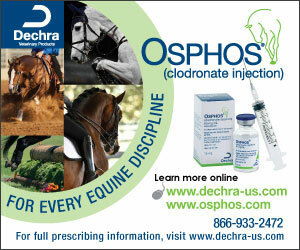 But to do your horses justice, recognize the value of a diagnosis, and differentiate it from your own observations. 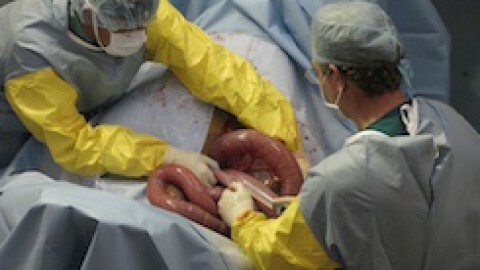 The person that can bridge the gap between your observations and a diagnosis is your veterinarian. Jake survived, but ironically, his veterinary bills were much higher than they would have been if he had been properly diagnosed and treated early in the course of disease. He will live out his life with only one jugular vein, and only about 25% of his original kidney function. He is maintained on a special diet and strict management to prevent worsening of his kidney problems, and he will always require periodic veterinary monitoring. Originally published in The Horse Magazine, October 2012. First Place Winner in Personal Single Column, Circulation over 20,000 (Print) Category – American Horse Publications Annual Award Program 2013. So sorry I didn’t see this until now. Thanks for your intelligent comments. I could not agree more. Here is what I wrote to fellow vets, explaining my reason for the creation of our app Horse Side Vet Guide. 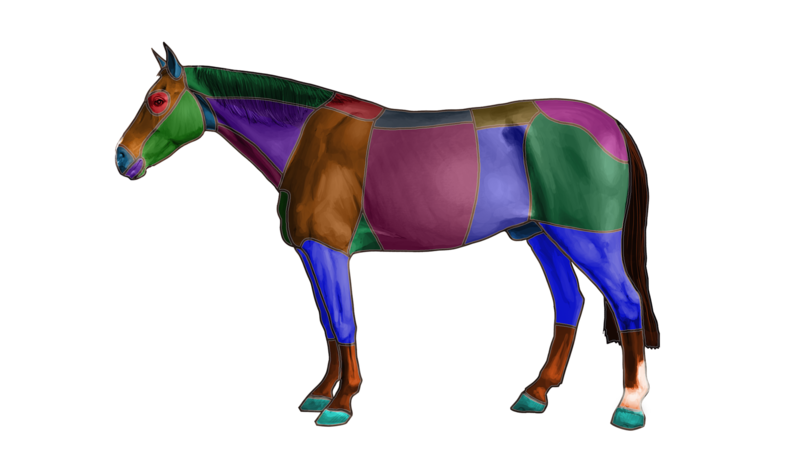 An excellent article about this misplaced “new norm” of horse ownership where all too many horse owners believe that reading something on the Internet is an accurate method of diagnosing and treating equine ailments. Nothing could be further from the truth, since the actual experience of veterinarians, and their strong backgrounds in equine physiology, cannot be simply learned, or even understood by reading a few paragraphs on the internet. Often reading about the variety of maladies that can affect the horse will fill the horse owner’s head with an idea that is then passed on to the attending veterinarian as factual, when it is an uneducated guess at best, and all that does is prolong the actual diagnosis and treatment of the horse. 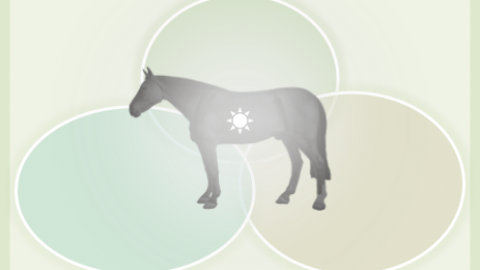 Although many horse owners tend to want to handle almost any sort of equine emergency, ailment or injury that may afflict their horse on their own, there is no excuse for providing substandard care for any horse, which seems to be caused because the owner’s ego is too fragile to admit they may not know all there is to know about horses and when real veterinary care is required.